Flickr: Vancouver Science World, Free Geek, Purple Thistle. 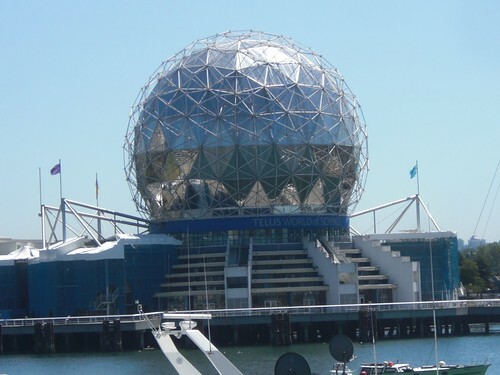 A dude I met at VHS works at Science World, so he escorted me for free inside, and managed to spend 15 minutes telling me about all the behind the scenes stuff there before he got called off to actually work :-). It was totally filled with kids, and there are a lot of exhibits, I had a pretty good time exploring around. But it isn't the Exploratorium. They do have a very cool building though, thanks Arthur for letting me in for free! Free Geek Vancouver also isn't nearly as cool as the mothership in Portland, but they are still doing good work there, putting old computers to reuse. They had a tour scheduled for 4pm, but I didn't return for the tour, so I didn't get as much description of the place as I got in Portland, but conceptually it's very similar and you can see the DNA of the organization. Purple Thistle isn't a hackerspace per say, but it is the same kind of organization, I loved it there. 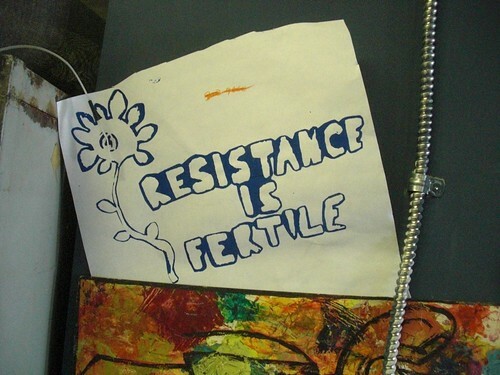 They call themselves a "reeducation center", they do a lot of screen printing & zine stuff. And they have an active guerrilla gardening program, including right across the street from the space where they have taken over what used to be a strip of grass between the industrial lot and the road. Their library has a huge collection of activist stuff, like back issues of Earth First! I met some rad people there, and I even got to do a bit of gardening.